Wedding Photography: Hanna & Kalle, Finland. 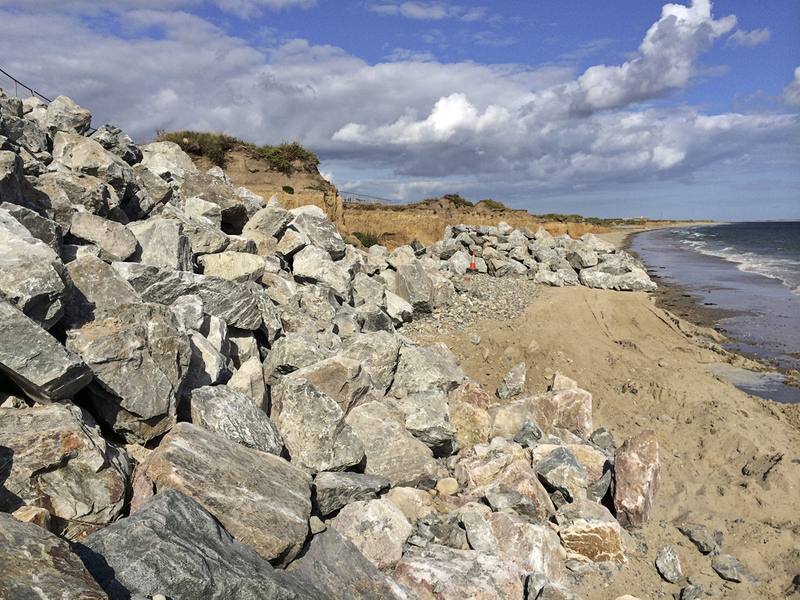 From March to July 2017, I documented the construction of Coastal Protection Works at Bastardstown (i’m sure there is an interesting place-name history), Kilmore, County Wexford, Ireland. I documented the process while taking beach walks with our dog Pepper. 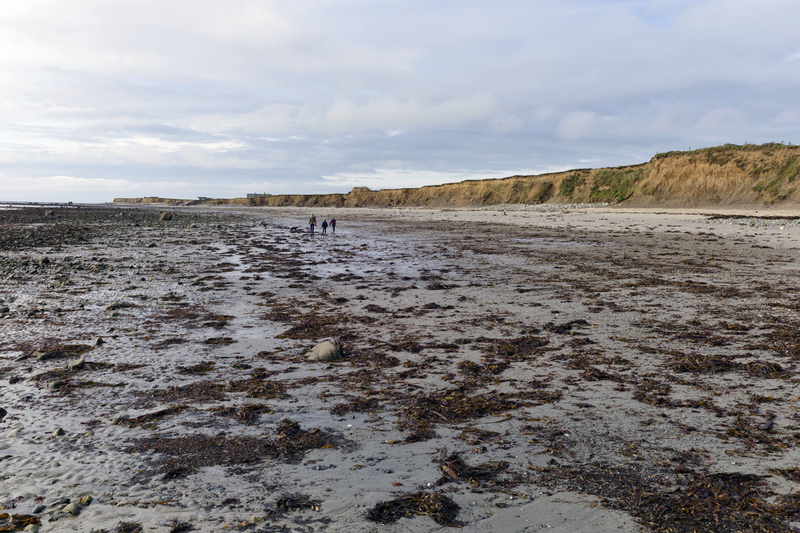 The past few years brought drastic change to sections of the coastline here in South East Wexford, and Bastardstown – or Seaview as it is also known – was no exception. 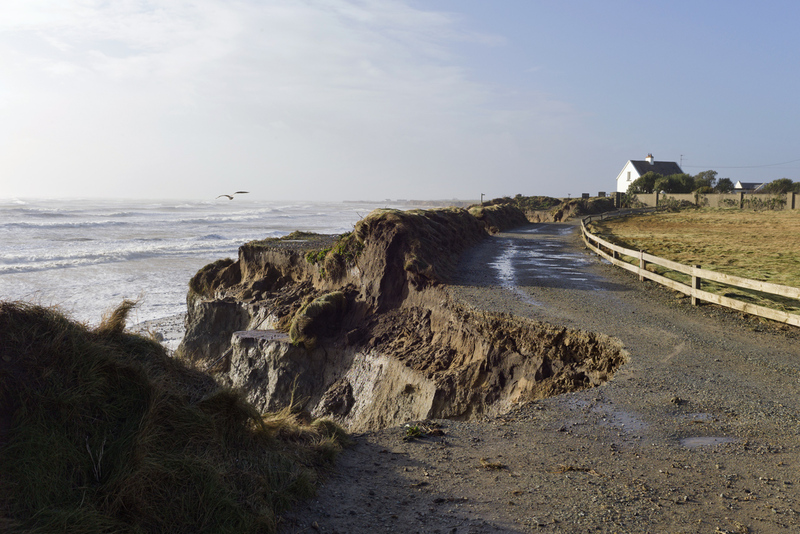 Large sections of the coastline were eroded during the storms of 2014, and it continues to this day. See some of my earlier posts documenting the storms. Erosion is an ongoing process. The land is always changing, whether its seismic movement, man-made, or the sea reshaping the coastline; it is in constant flux. When the erosion of land threatens somebody’s home they are left with few choices: Sell up and move, sit tight and wait for the inevitable (which may take decades), or take action and use resources available to protect their land and home. This project was commissioned by a private client in order to protect their beachfront property from eroding to the point of their house collapsing into the sea. 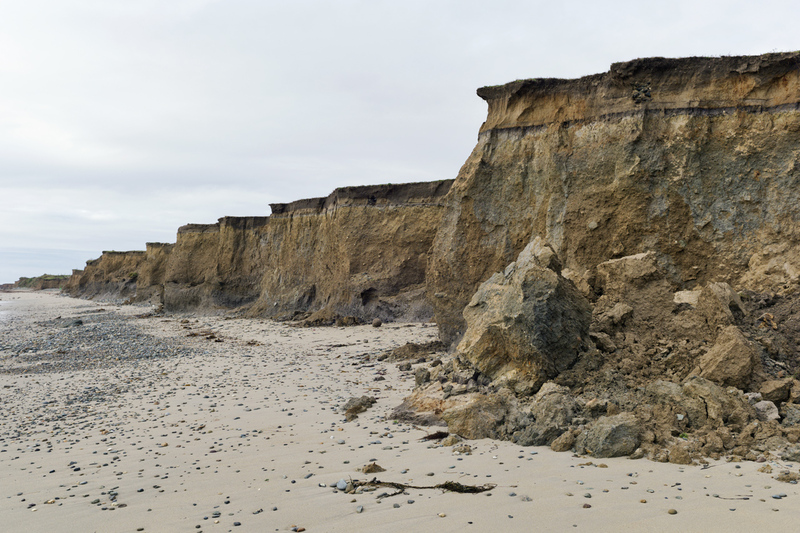 Large rocks were transported from a quarry on heavy duty trucks, and slowly, and strategically placed along a section of coastline to prevent or delay progressive erosion due to storms, high tides, rising sea levels, and other factors. It is questionable as to whether the placement of these rocks increases risk of erosion elsewhere along the coast. 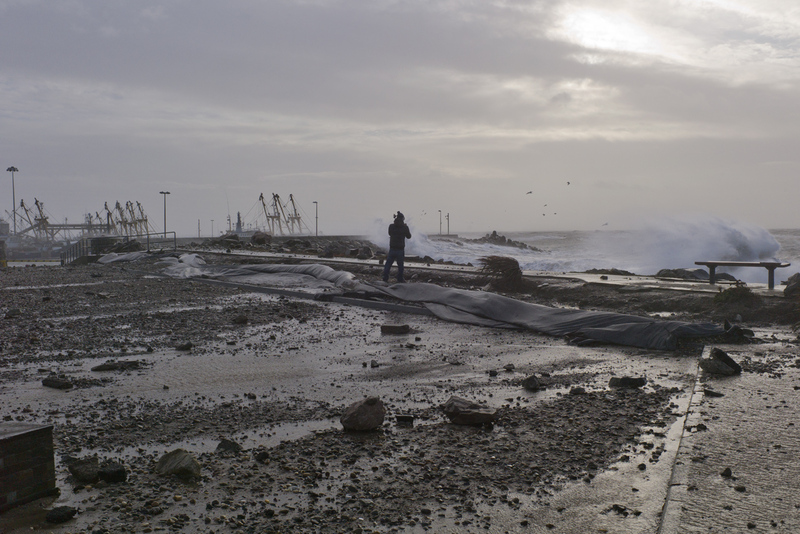 As a long-time and regular visitor to the beach, it is my opinion that the introduction of Rock Protection around the access slipway altered the surrounding beach landscape and erosion patterns. 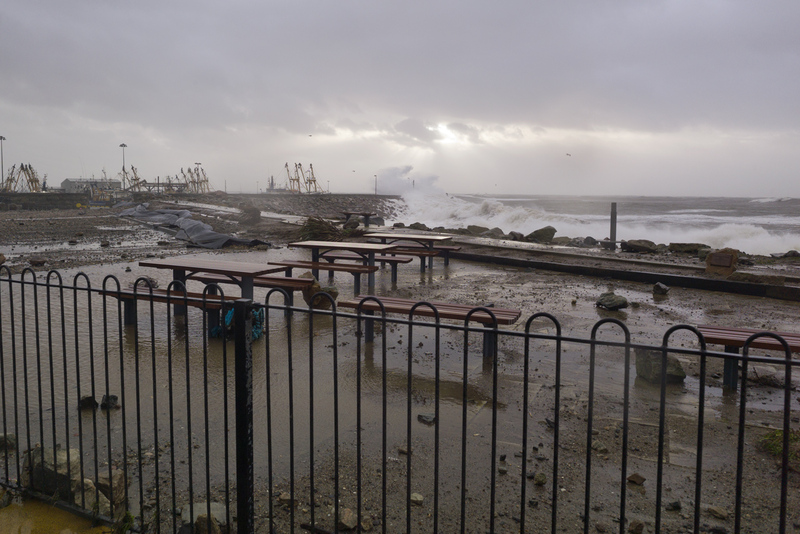 Some people I have spoken to on this subject think that erosion in this area was exacerbated after the construction of the Kilmore Quay Marina. There is a notable lack of tree planting in this area. 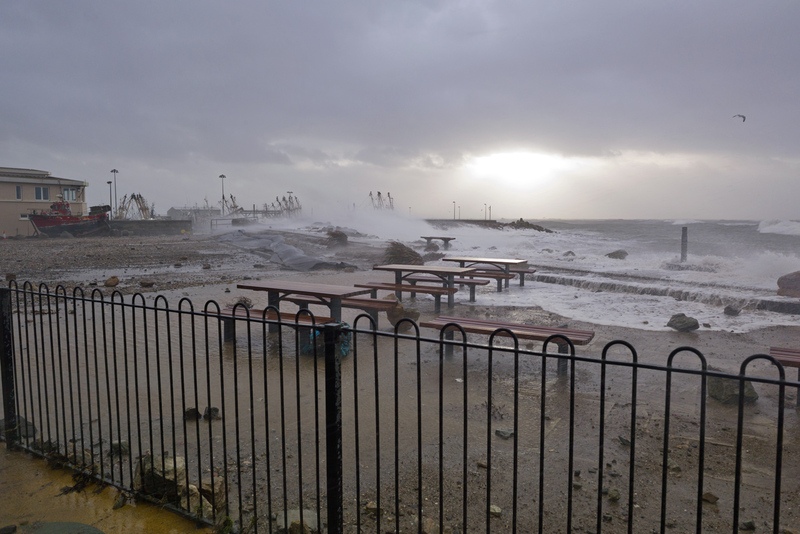 It is hard to grow trees here – though not all species – due to salty sea air, and relentless winds. Tree planting would go some way towards slowing down the erosion process. However, it might take away from your view of the sea, which, over time, may get a little too close for comfort. 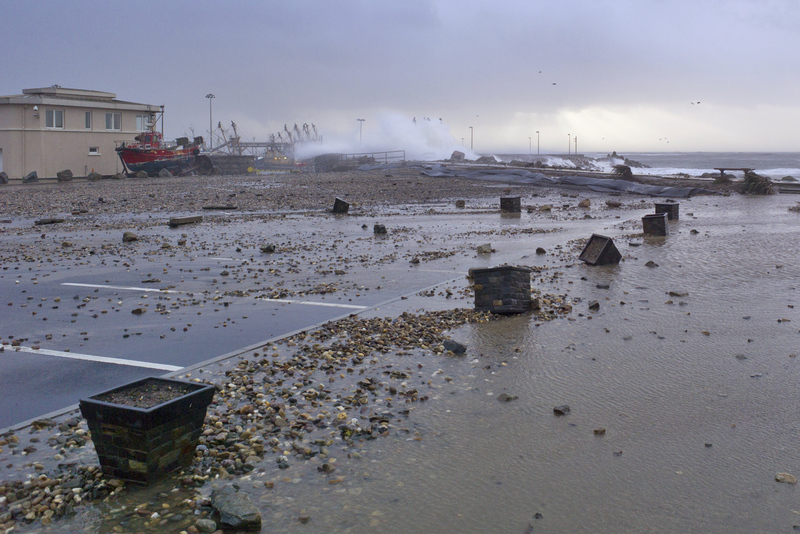 Many of the photos are taken from the beach access slipway which already has rocks protecting it, and can be seen in the foreground above. 7th April, my first sighting of the Swallows or Swifts. I wondered what would become of their homes as the construction progressed. 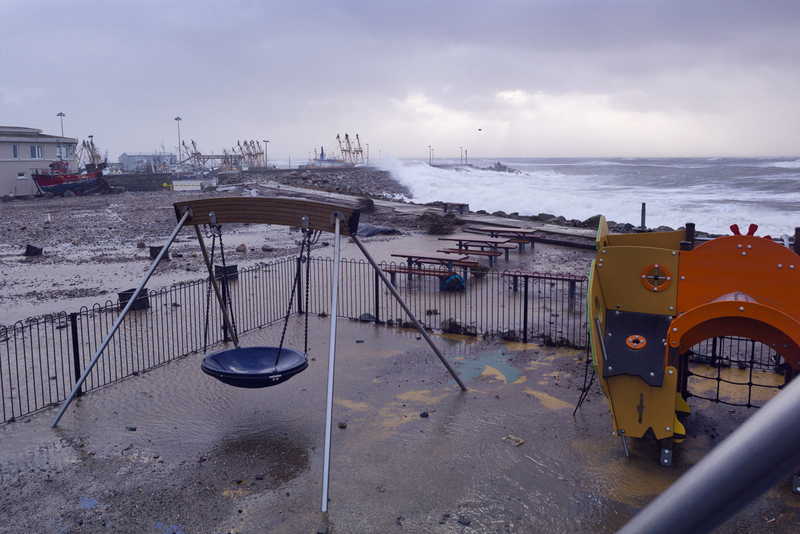 The beach access slipway. the handrail is now in very poor condition. All photos were taken with the iPhone, and batch processed in Adobe Lightroom. 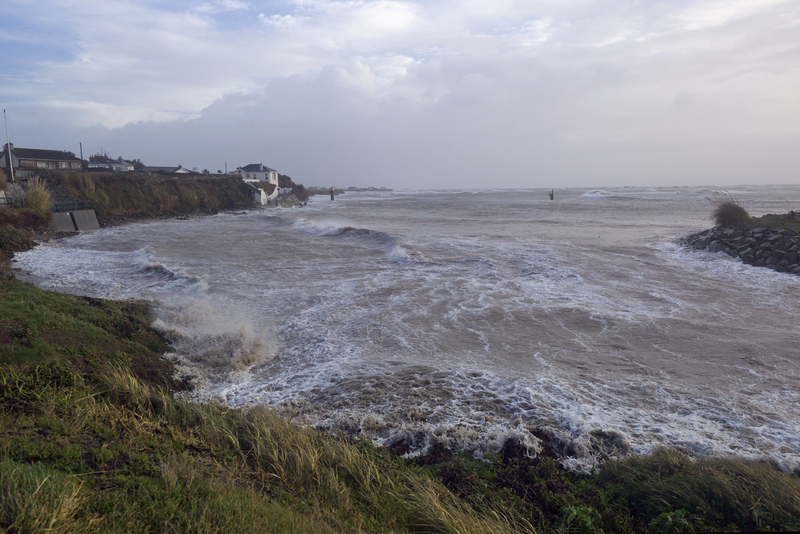 Coastal Protection Works at Bastardstown, Kilmore. 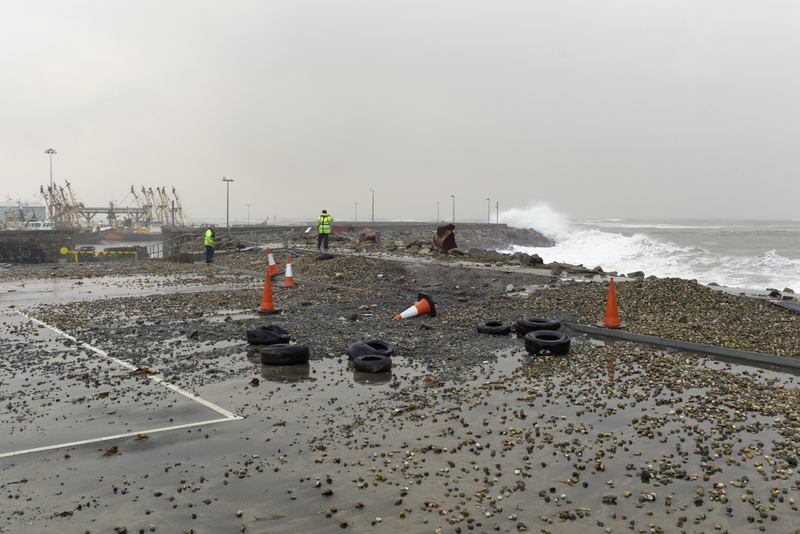 Coastal protection works recently commenced at Bastardstown, Kilmore. Hopefully we won’t see winter storms like those seen in February 2014 for a long time. 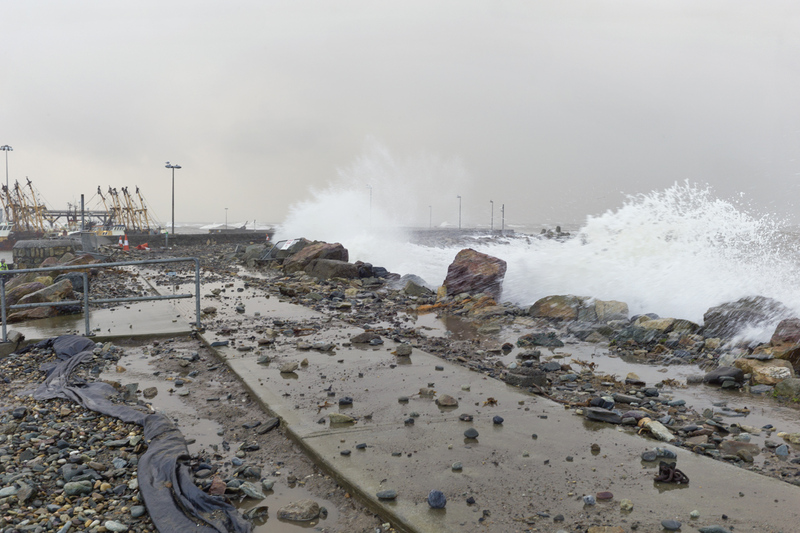 The fishing village of Kilmore Quay is taking a real hammering lately. 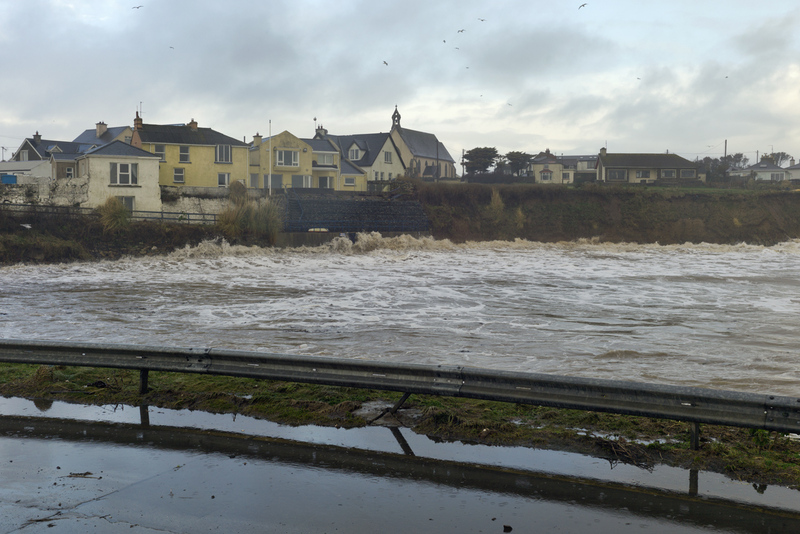 In fact, coastal towns all along the South and West coast of Ireland are suffering the effects of winter storms and huge swells that seem to be timing their arrival in synchronisation with spring tides. The result: Amazing display of the power of mother nature. I knew a set of big waves was coming in but I was too busy trying to get a good photograph. This one gave me a good soaking. 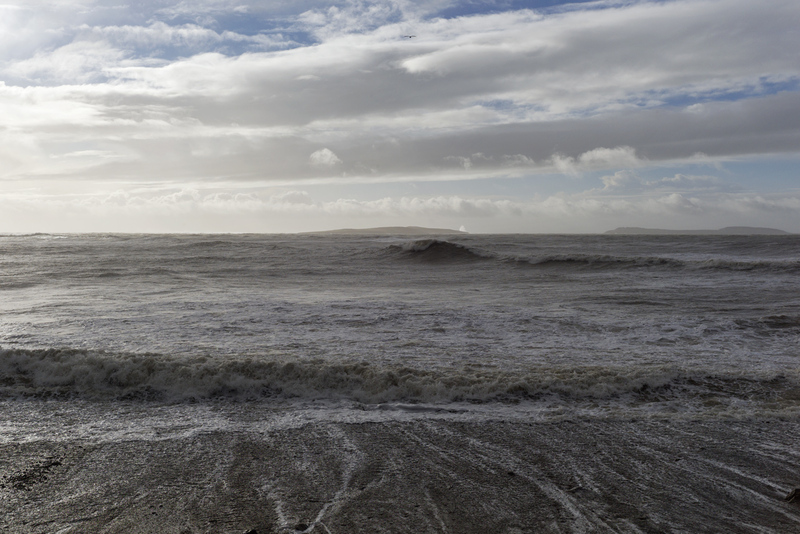 The surges were so powerful that I couldn’t help but think of the Tsunami footage from Thailand in 2006. A local fisherman watches, and waits. 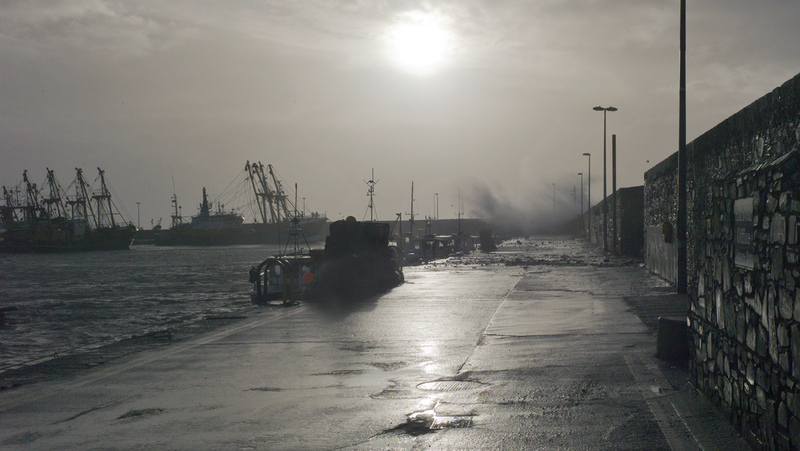 Never before have I seen such powerful torrents inside the harbour. Huge amounts of water swirled and flowed, while the boats and ropes heaved and groaned. The image above is a 100% crop of the previous image. The small Saltee Island lies approximately 4km offshore. I don’t know the height of its peak, but the breaking wave looks to be at least equal to the height of the Island, which I’m guessing is around 50-100m high. 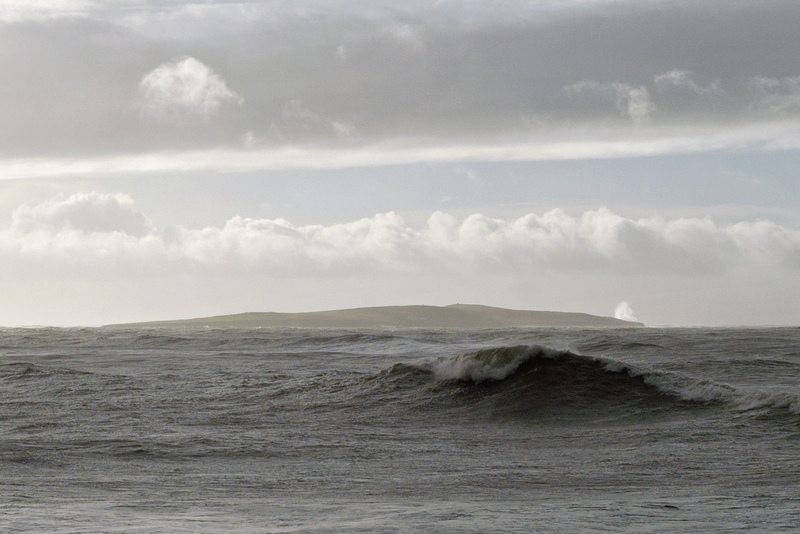 The wave in the foreground is probably around 5m high. We are due another storm this weekend. 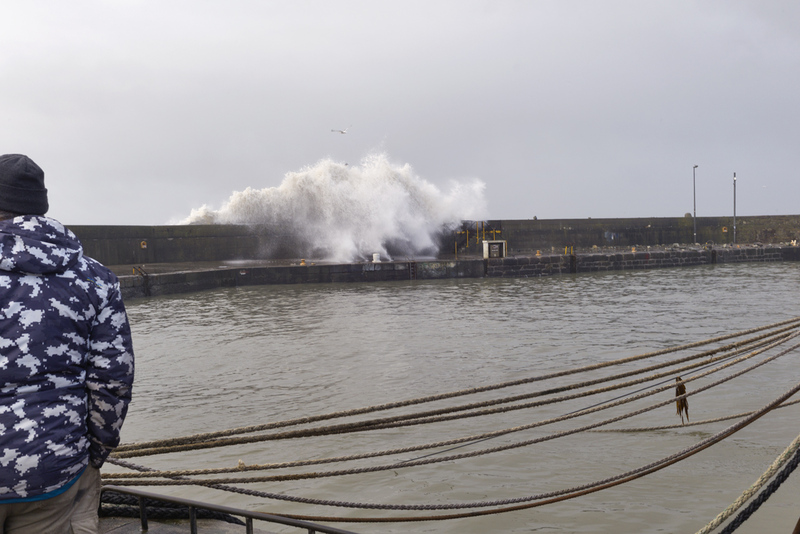 Batten down the hatches…. 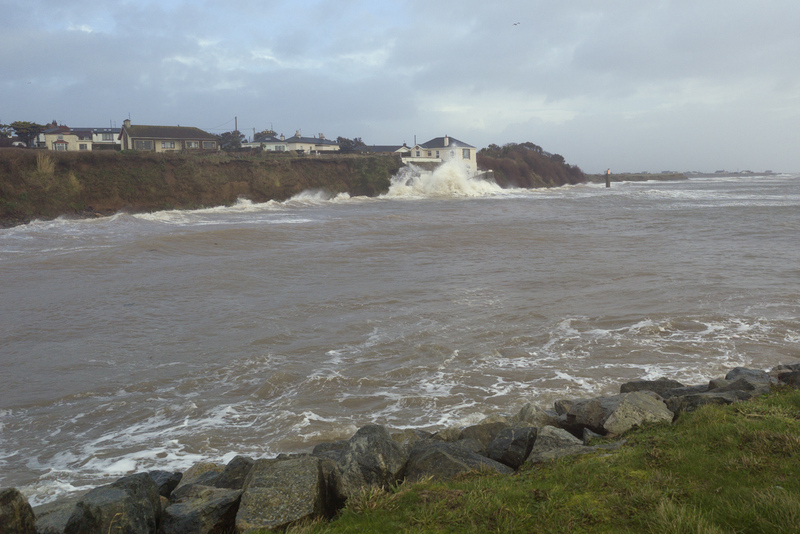 Irish coastal towns and villages have been feeling the full force of mother nature in recent days. 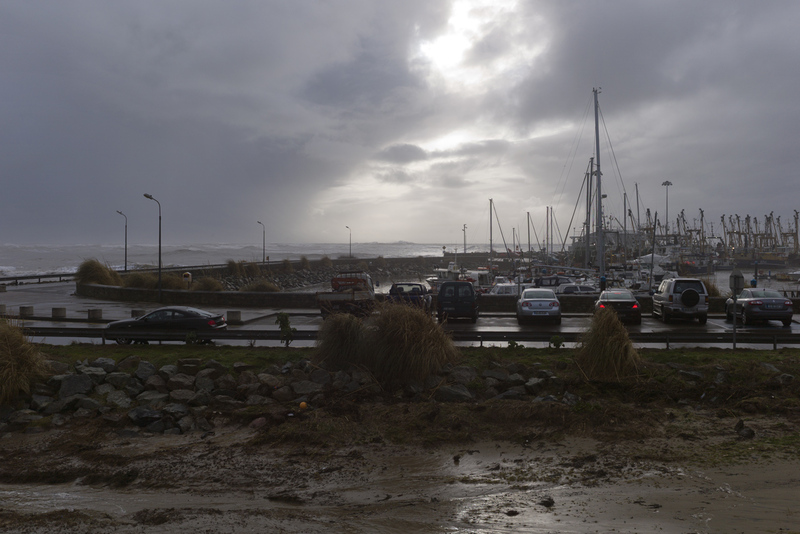 High tides, high winds, and huge swells combined to create treacherous conditions just about everywhere. 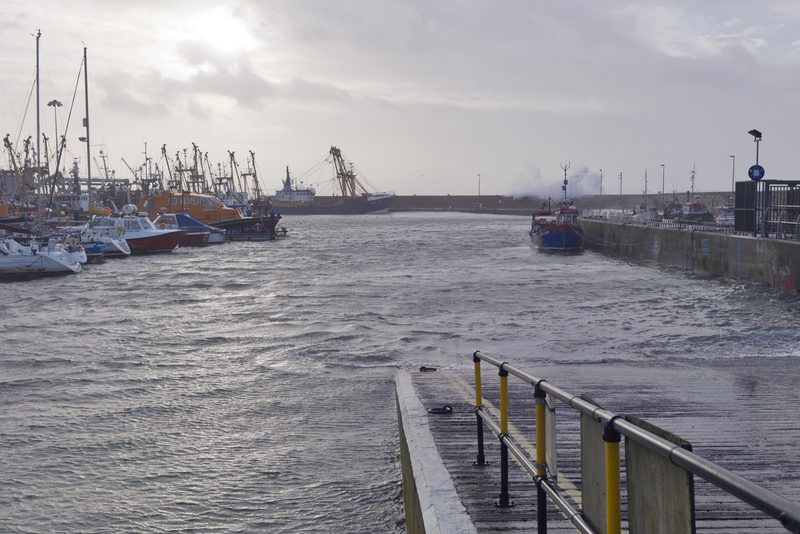 Kilmore Quay is a small fishing village in the South East of Ireland, and it too has been feeling the brunt of the storm. 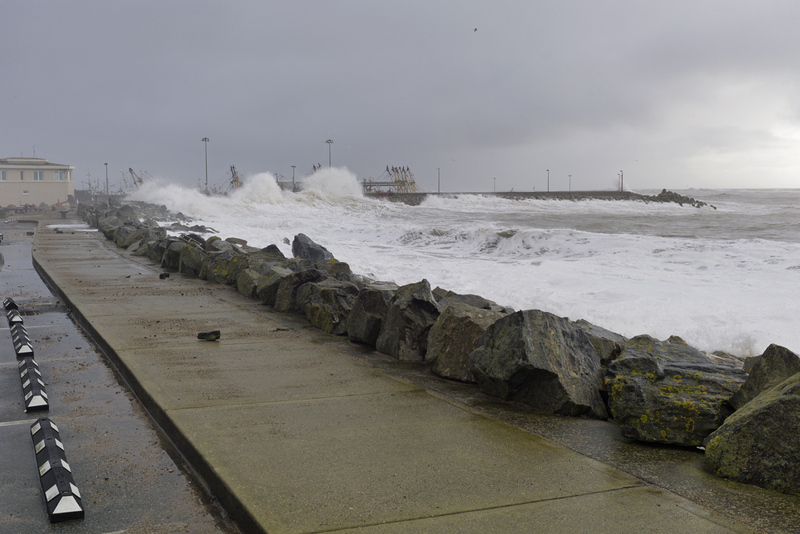 The small strand in Kilmore Quay is normally a haven of calm. 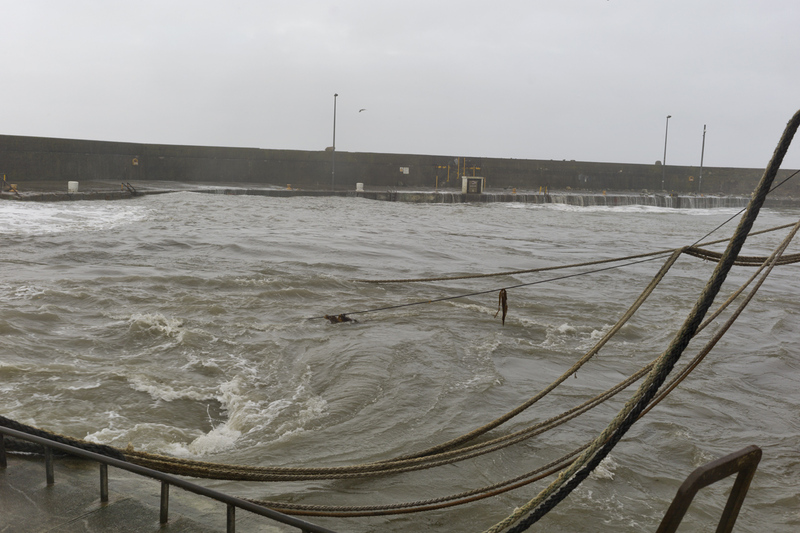 Kilmore Quay harbour getting pounded by giant waves. Dunes disappearing into the sea at the Burrow. Powerful surges at the small strand. The harbour was pretty much a no-go area, with large rocks being hurled over the fortified harbour walls. Collapsed access road at nearby Seaview. Sunday morning is the perfect time to go for a walk, and if you have a dog there is no better place to let them off the leash and chase the birds. I have fond childhood memories of going for long weekend walks with my own family on the local beach and dunes. 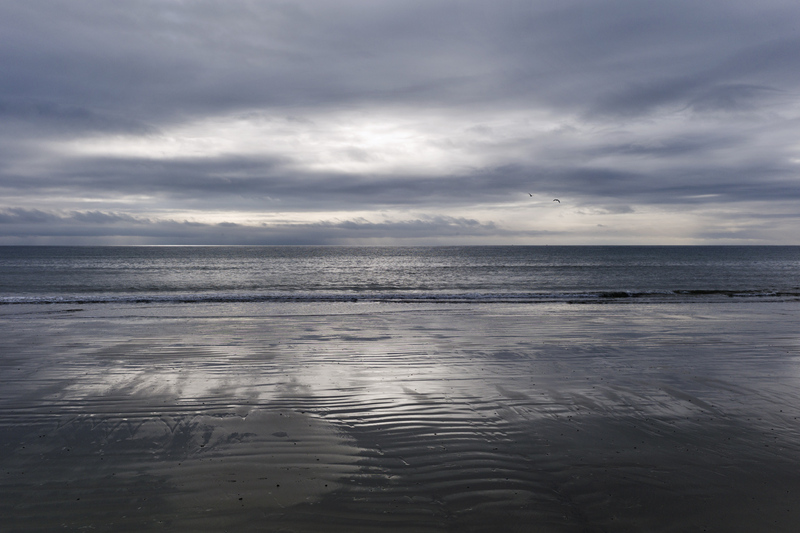 The beach is ever changing: Somedays it’s calm, others its crazy wild. Sands shift upwards and downwards of 2 metres, revealing and concealing. Storms eat away the land, and bring in flotsam from all over the world. Last weekend I found what looked like a transmission engine from a motor car. How does something like this get carried in the sea, and from where? 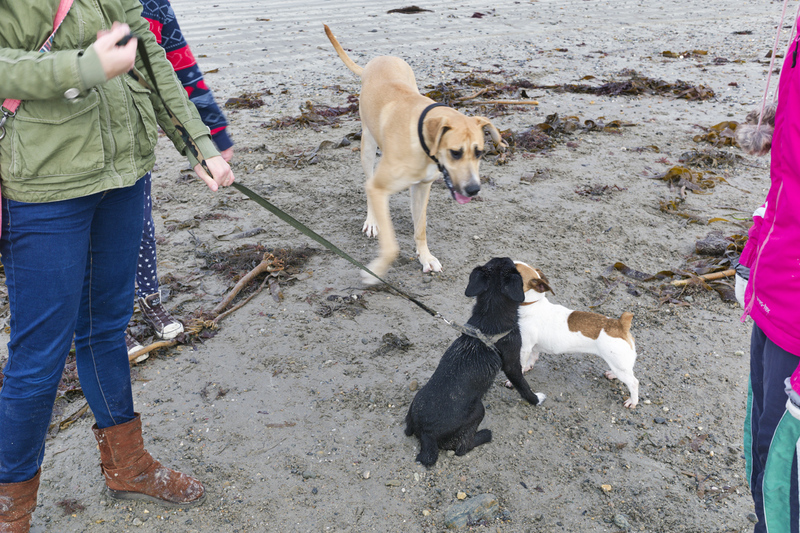 And of course, if you have a dog, there is nearly always a big of doggy socialising to be done. 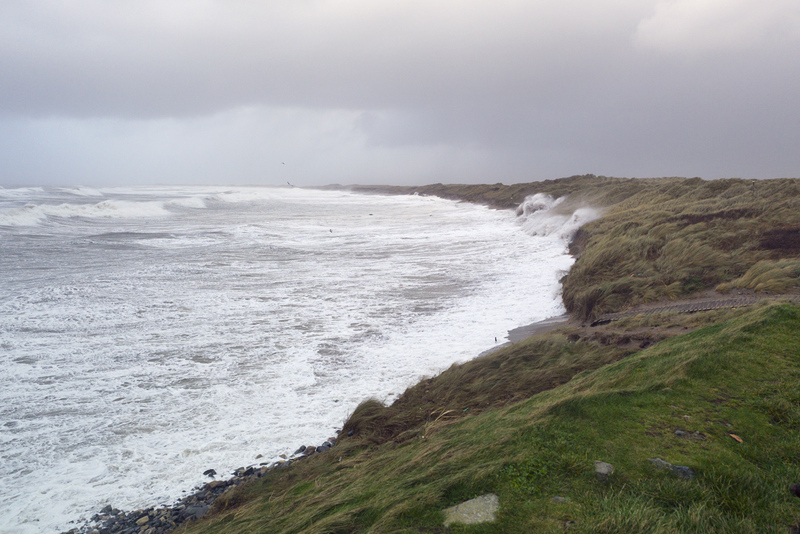 Coastal erosion at Bastardstown beach. 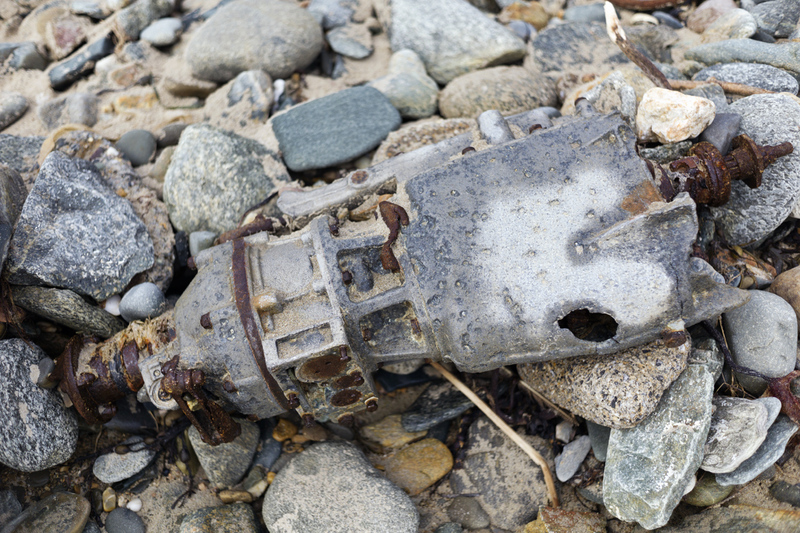 Washed up motor – approx 2ft long. 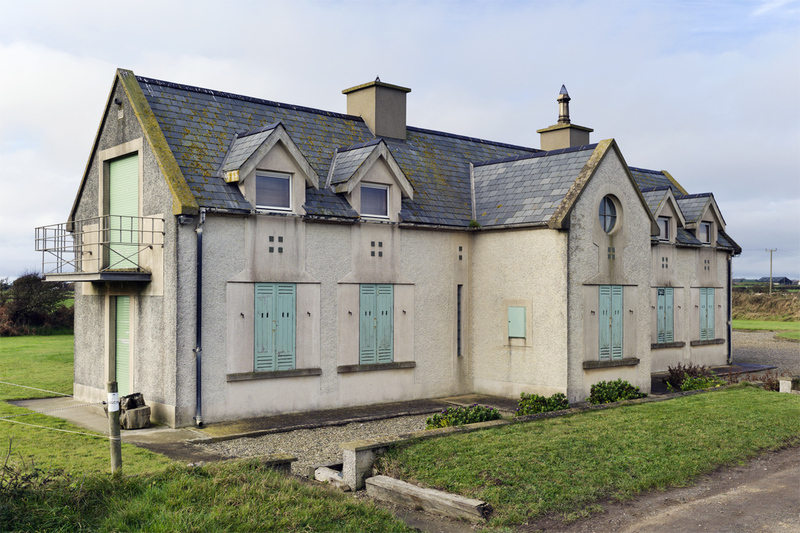 One of many empty summer houses. A bit of doggy socialising.